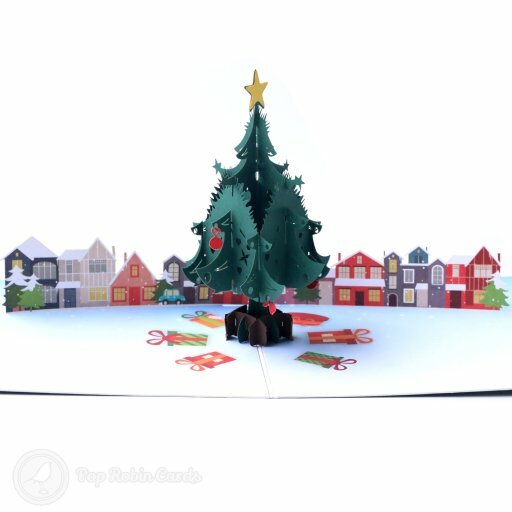 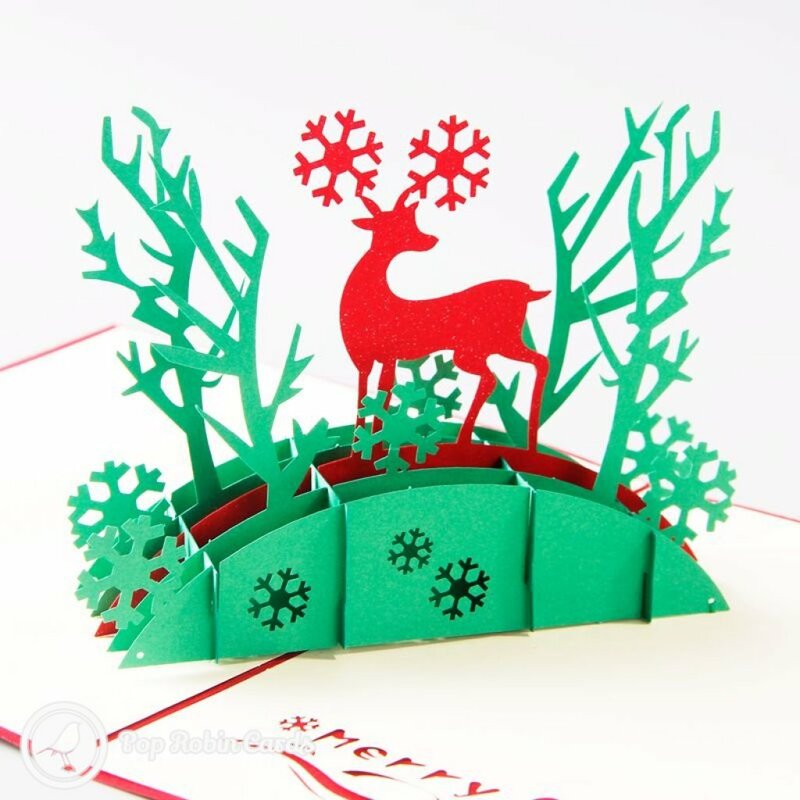 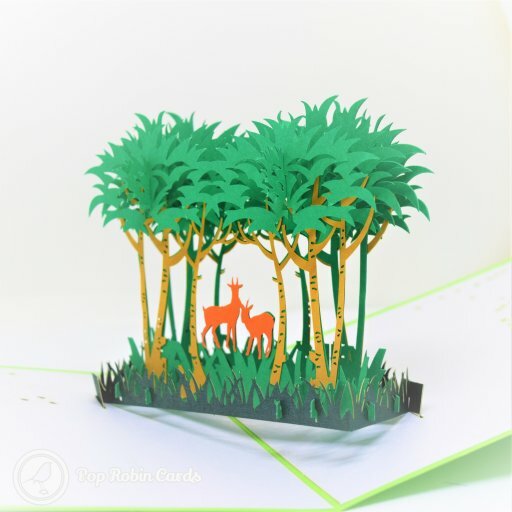 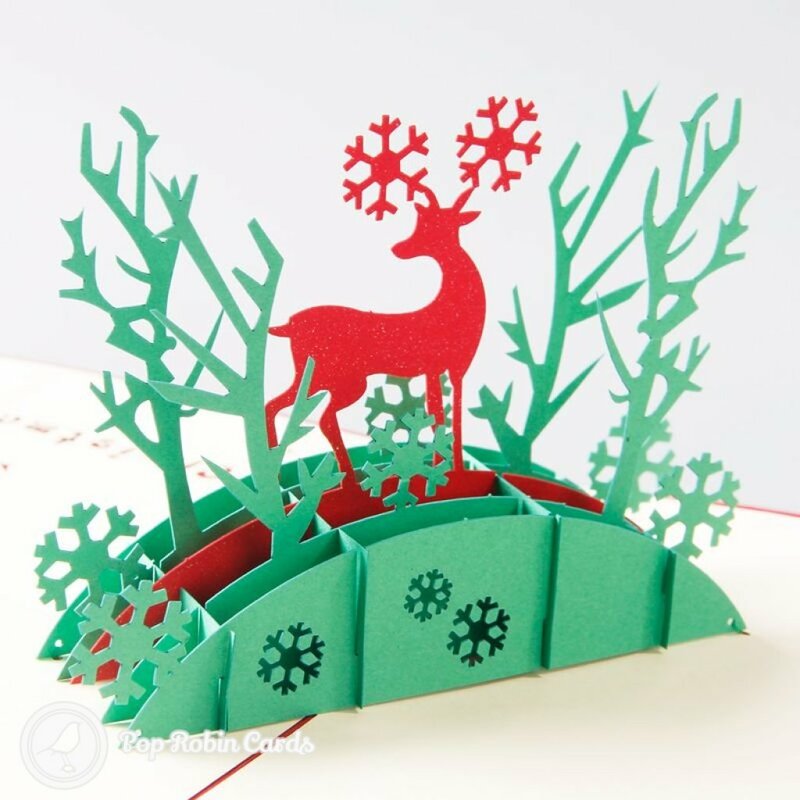 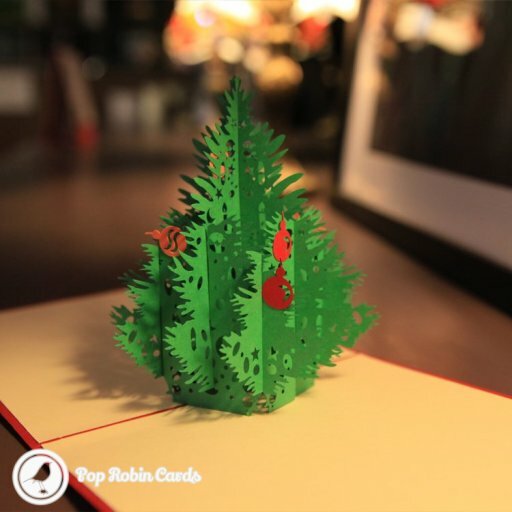 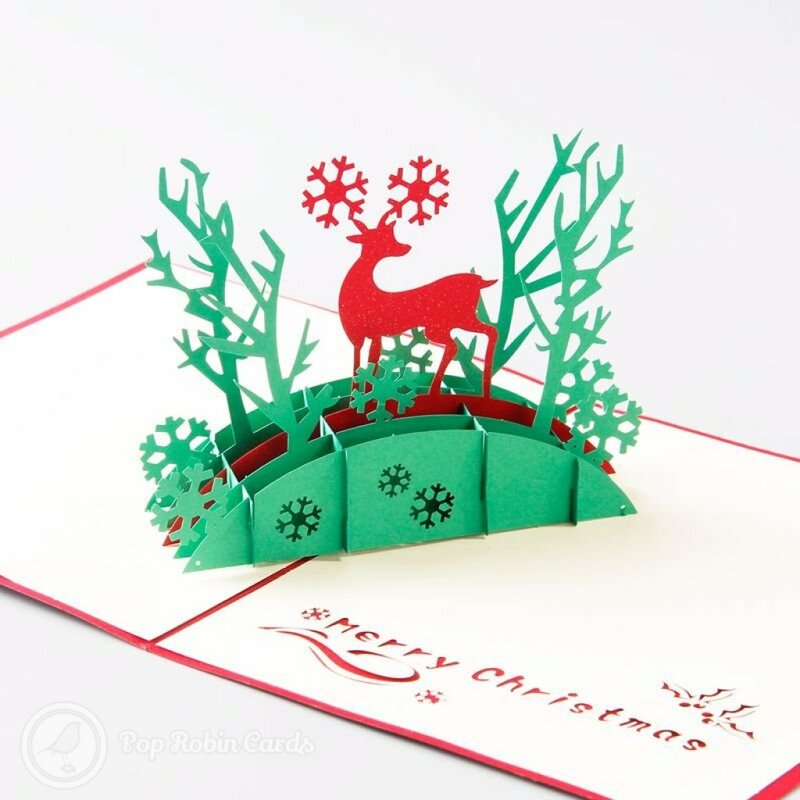 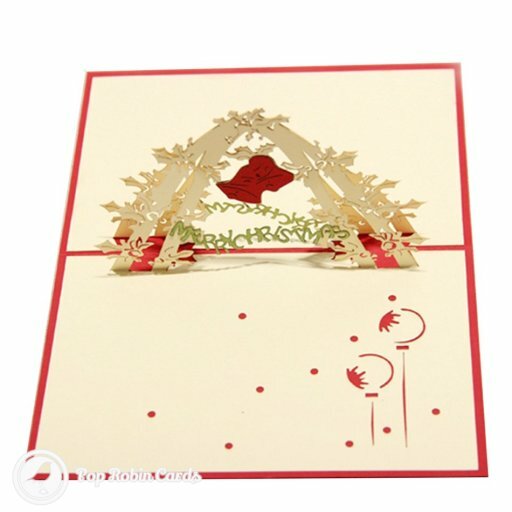 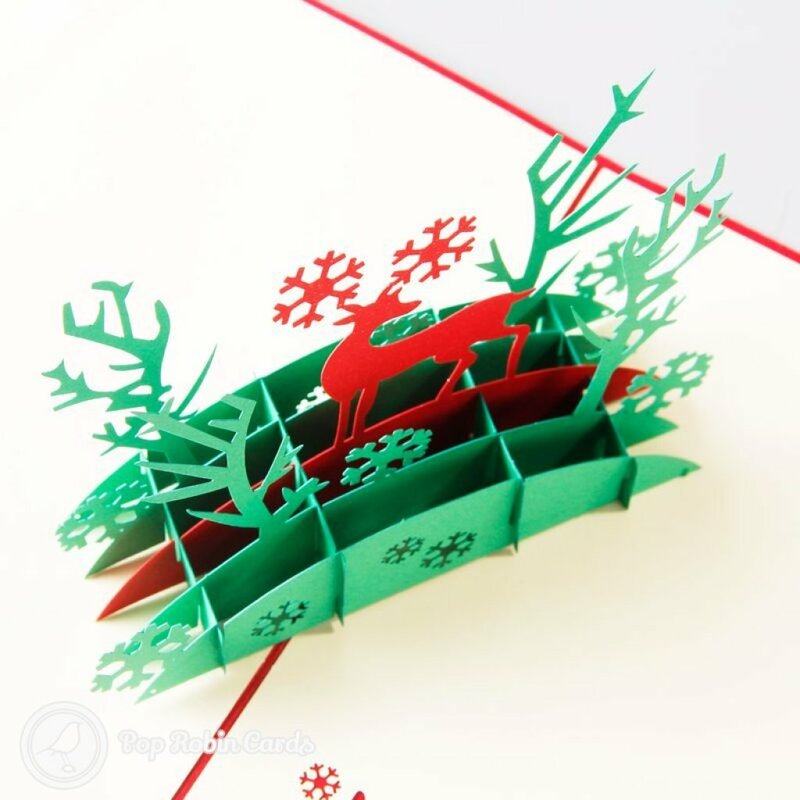 This beautiful festive Christmas card opens to reveal a 3D pop-up design showing a reindeer with snowy antlers standing on a bridge in a winter forest. 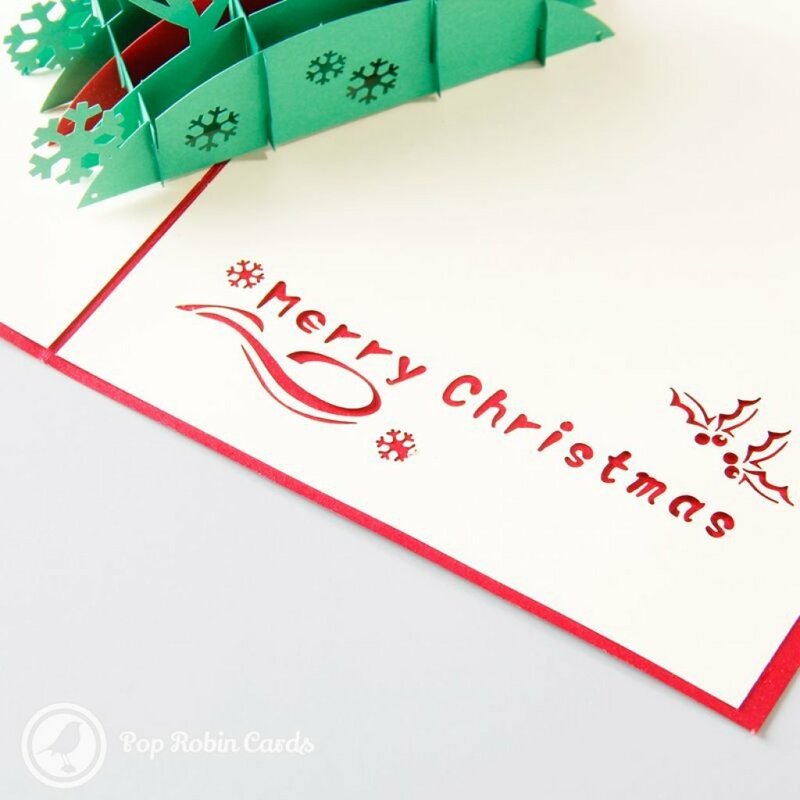 A "Merry Christmas" message is stenciled to one side. 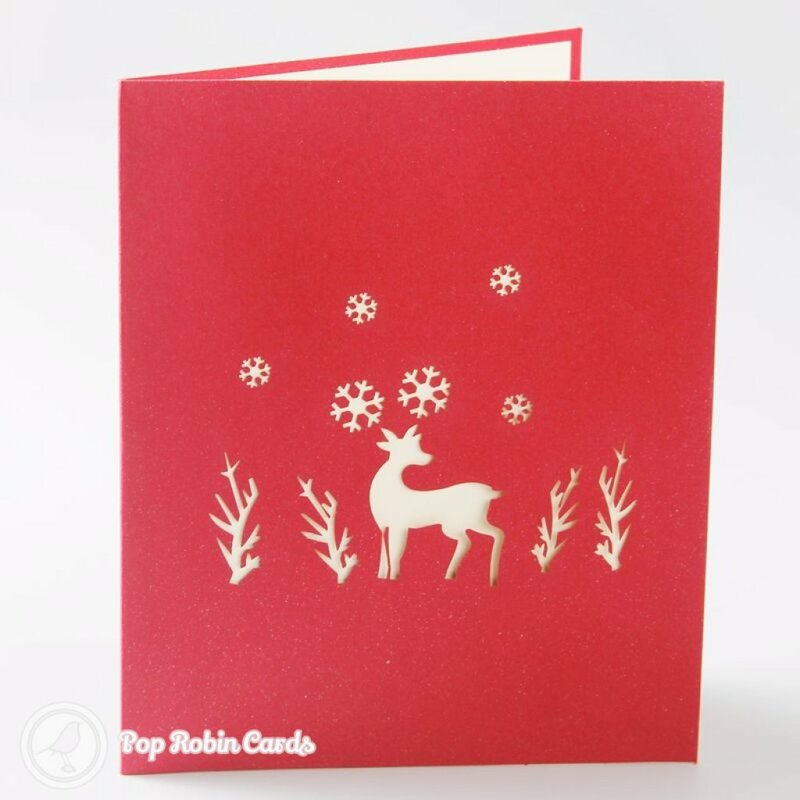 The cover also shows a reindeer in a snow scene in a stencil design.